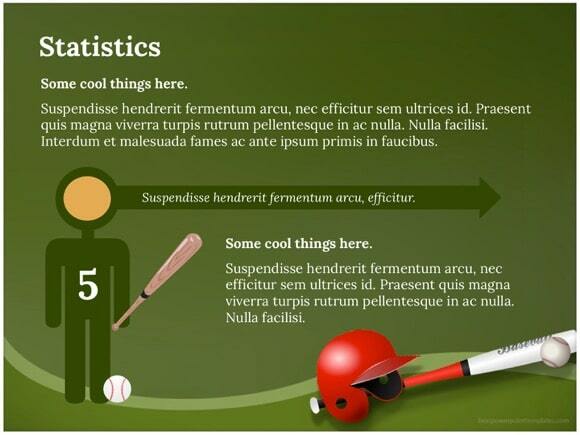 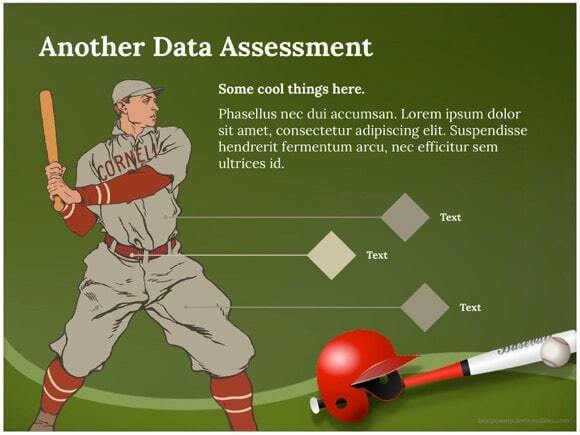 Baseball PowerPoint template - FREE! 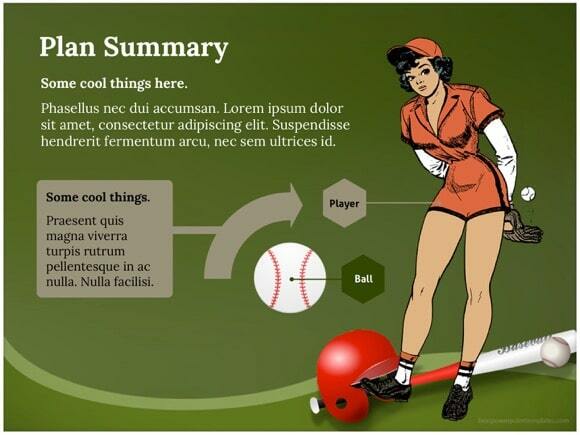 This is another impressive Baseball Powerpoint Template, which is great if you love baseball game. 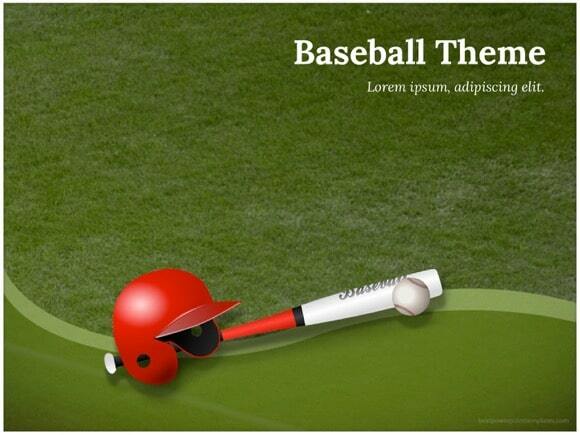 There is a baseball bat, a ball, and helmet which are the main attributes of the baseball game. 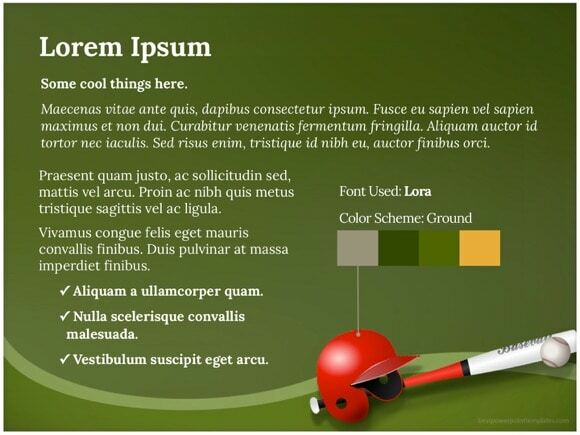 Green color relates to the green pitch where the game takes place. 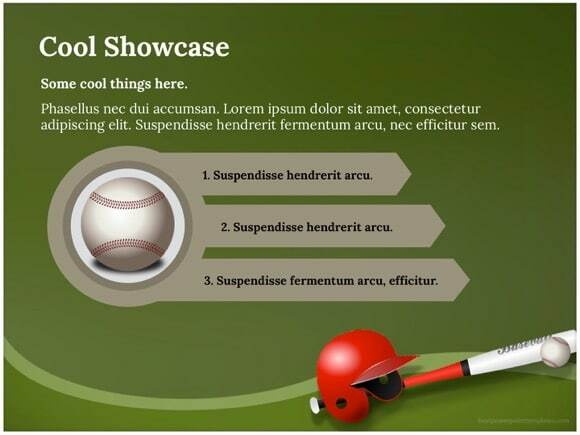 The fresh design of this PowerPoint can be used for all sport presentations. 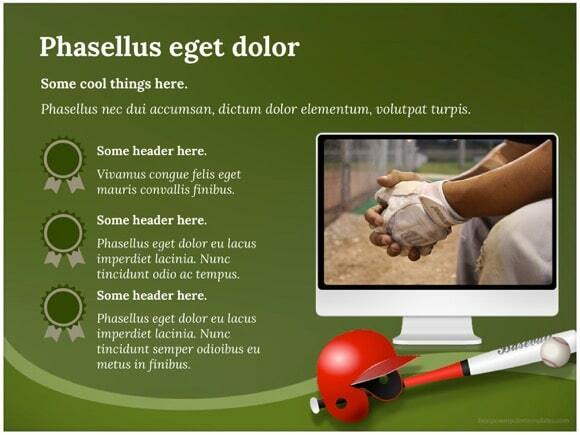 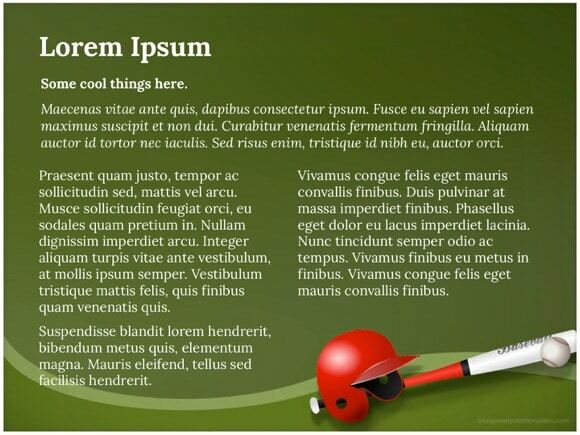 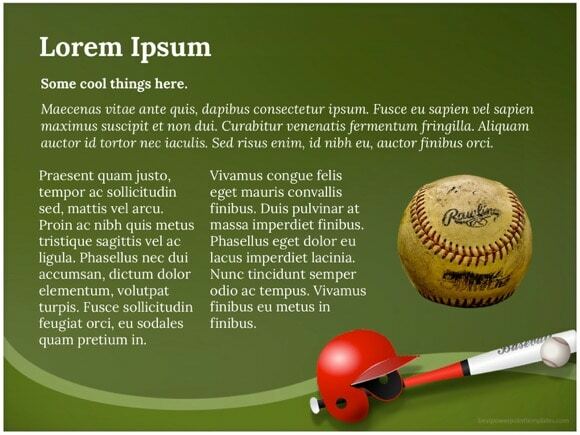 Just download this baseball theme and use it for your next powerpoint project.